Already, back-to-school time is upon us. 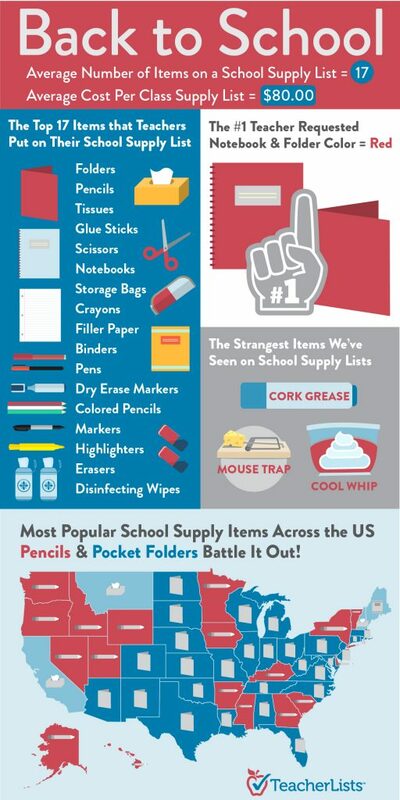 Millions of Americans are gearing up and heading out to buy what their children will need for school this year. Working with more than 1 million classrooms, we’ve learned a lot about exactly what supplies those parents will be shopping for. On average they’ll spend about $80 per child on popular items like pencils, pens, binders, and even a few things you wouldn’t guess like shaving cream and peppermint oil. Here’s a look at some of the back-to-school items that caught our attention.